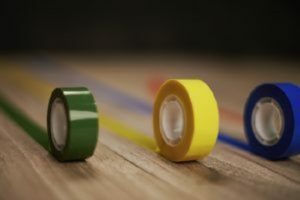 If you are trying to figure out the best way to use your floor graphics, here are four great ways! When it comes to business graphics, there are a variety of options that can help to enhance and promote your brand. Floor graphics can be the most creative and versatile of those options, creating a beautiful visual for your business. Whether you want graphics that are just for visual appeal or ones that are more practical, here are four common uses for floor graphics. People often think that graphics are simply for show, but they can also have practical uses that can help enhance the quality of your business. Floor graphics are great to use as a creative way to help your customers navigate through your business, especially if it is a large space. Uniquely designed directional arrows are a great way to grab the attention of your customers while making their shopping experience so much better. Another great use for floor graphics is to highlight a special deal or promotion that you have going on. Without the proper advertising, people may not even know that you have a sale going on and sales are a great way to draw in customers. Floor graphics are a great tool to use for promotions because everyone looks down at some point while they are walking, making these graphics very hard to miss. It can be hectic trying to navigate through a busy parking lot during peak business hours. Floor graphics are great to use as parking signs, helping people to better navigate through the lot. This is especially helpful for businesses that have a small or confusing parking lot and need to create one way lanes. Floor graphics can also be used to specify which spots are for handicap people, compact cars, etc. If you run a warehouse, you know the safety risks that come with it. Warehouses tend to be busy and contain a lot of heavy, dangerous machinery. Floor graphics are great to use to help further promote safety in the workplace, reminding employees what protective gear needs to be worn in which areas. Floor graphics can be placed at each station to help employees properly operate the machinery and take the right precautions. This entry was posted on Friday, November 30th, 2018 at 9:38 pm. Both comments and pings are currently closed.